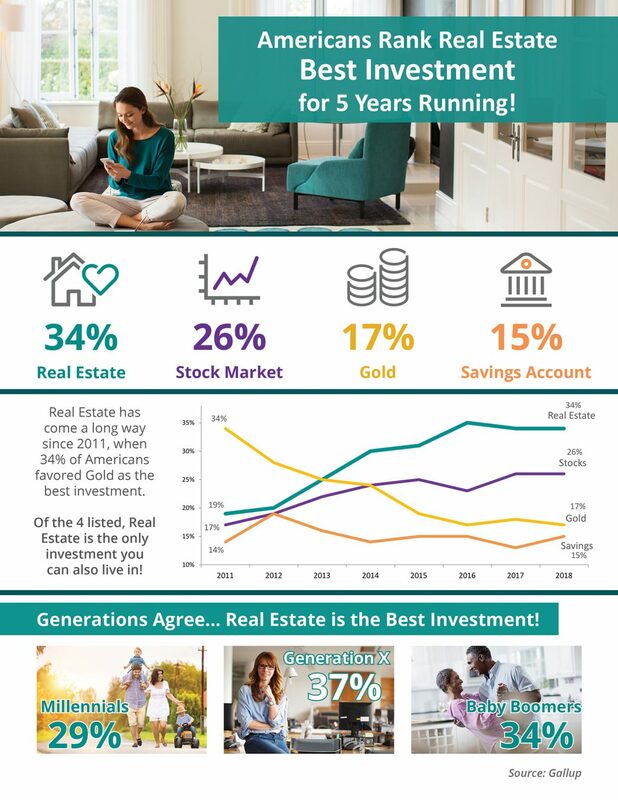 Some Highlights: Real estate has outranked stocks/mutual funds, gold, savings accounts/CDs, and bonds as the best long-term investment among Americans for the last 5 years! The generations agree! Real estate is the best investment! Generation X leads the way with 37% believing in real estate as the top investment. If you are looking to invest in a property in the Coachella Valley, contact Indian Wells Realtor Kim Harris Chiarelli at 760-895-8457 or go to About Kim Harris Chiarelli. I am happy to answer any of your questions about Indian Wells Real Estate.